London is a beautiful city with a rich and profound history and culture. The city is home to a large number of museums, palaces, galleries and monuments. The city is also very famous for its streets, bridges, squares and markets. There is a lot of history value of the most famous streets of London. Here is a guide to the most popular streets of London. Here you go! Located in East London in the London Borough of Tower Hamlets, this is a street that runs from Swanfield Street in the northern part of Bethnal Green. It crosses Bethnal Green Road and passes through Spitalfields. It is popular for its many curry houses. 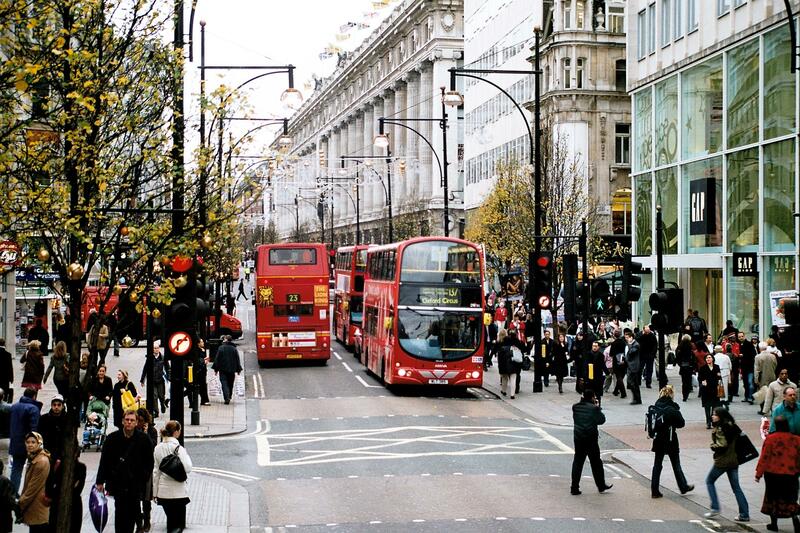 The street is unmatched in its offerings of cheap high street and departmental stores, and is the main place for shopping in London. The street extends over a mile long and is one of the busiest. There are numerous retailers with their stores on Oxford Street. These are John Lewis, Primark, Topshop and Selfridges to name a few. Portobello Road goes through the heart of Notting Hill and houses the Portobello Street Market attracting people from all over. The market offers an extensive range of second-hand clothes and antiques. Comparable to the Times Square of London, Piccadilly comes with theatrical shows, casinos, restaurants, bar and shopping. Piccadilly Street runs from Hyde Park Corner in the west to Piccadilly Circus in the east. It is a sheer pleasure to take a walk here and watch people. Abbey Road is one of the busiest and popular streets of London. Here, you’ll see people getting clicked in the middle of the road. Bermondsey Tube Station is the closest tube station to Abbey Road. Located in the London area of Southwark, it is a street in the borough of Camden and the City of Westminster in London. It runs northwest to southeast through St.John’s Wood. Abbey Road is famous for Abbey Road Studios and the album, Abbey Road, by the popular band, The Beatles. Located in Chelsea, King’s Road runs through Fulham in West London and is dotted with cozy restaurants, lovely pubs, stores and boutiques. The famous Saatchi Gallery is located right on King’s Road. The Victoria Albert and the Natural History Museum is also a short walk away. Although fun for all, King’s Road caters to the posh crowd specifically. Located in Whitehall, Downing Street is at a walking distance from the House of Parliament and Buckingham Palace. The street was built by Sir George Downing in the year 1680s.